Ahhh monday! Delightful poem Mary. That was fun, and I think you might have changed my mind about this day. Either that or it’s the donut I just unwrapped. I think it’s the poem. I hope you’re off to a good week! Mmmmm…donut!!! I woke up with a headache, Dan, but I suspect it’s more about allergies and a weather change than it being Monday. Is the weather changing for the better? It’s not winter arriving already, is it? Too much rain! I’ve had to water my patio plants only 2 or 3 times since I planted them in May. Saturday was a perfect summer day…need more blue skies, low dewpoints and 80 degree weather. Sorry. I hope it clears before the weekend. That is a completely relatable post. Today has been fairly quiet, so I am always grateful for that. It helps with getting somewhat caught up before the next shoe drops. Mmhm. Oh I say mmmhm. That was yesterday. Today has been a different story. mmmhm. 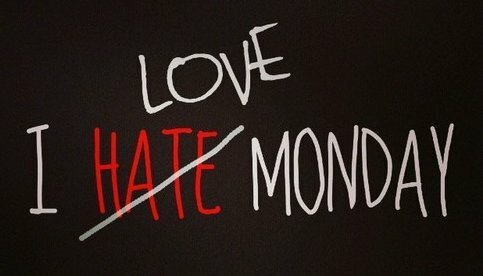 Not many people love Mondays. Personally, I’ve never had a problem with them. For a long time I hated Fridays because it seemed that everything that went wrong during the week came to a head on Friday. I must begin Old Fashioned Friday…has a nice ring! 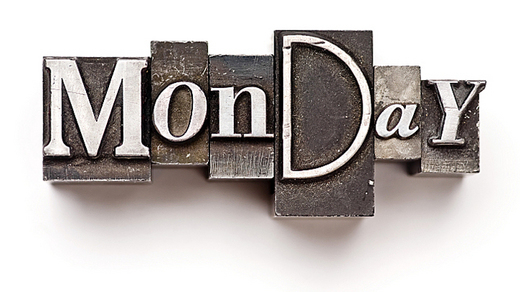 Ahhhhh…Monday is as Monday does. How wonderfully poetic and true. It’s hard to realize it’s just another day…it brings its own shadows and joy and quirky beginnings and ends. Thank you for the smile!